This shorter version of our Radical Run Obstacle Course is still big on fun! 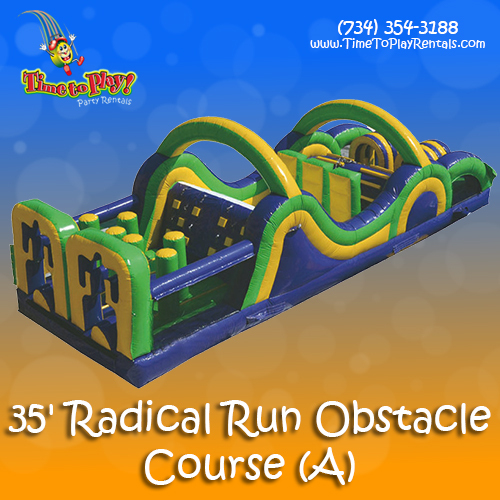 Featuring several obstacles to run around, over and through, children of all ages will be thrilled with our 35’ Radical Run Obstacle Course! Perfect for entertaining smaller groups of children, when you have space restrictions, or when combining this course with other moonwalks, slides and games for a full-scale carnival! We are always happy to assist you in selecting the best products for your event!